Four Provost PhD Project Awards have been granted to SNS staff, Nessa O’Connor, Mary Bourke, Matt Saunders, and Jay Piggott. The Provost’s PhD Project Awards are open to EU and Non-EU candidates and include an annual stipend of €16,000 for four years. These doctoral awards are funded through alumni donations and profits derived from Trinity’s Commercial Revenue Unit. 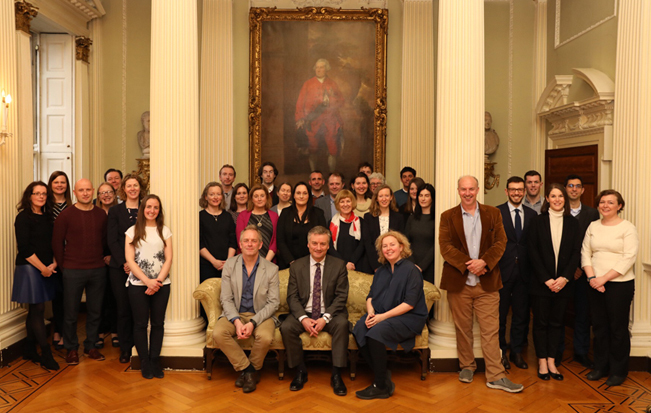 In this inaugural year, 40 projects were selected from 200 applications from across the College, and were awarded to the “new and upcoming generation of academics who are pursuing the highest quality research and building international reputations in their fields”. Please send a copy of your CV/resume and a short statement on why you want to undertake this PhD project under her supervision. Investigating the impacts of peatland restoration on net ecosystem carbon and greenhouse gas dynamics. Please send a copy of your CV/resume and a short statement on why you want to undertake this PhD project under his supervision. Please send a copy of your CV/resume.